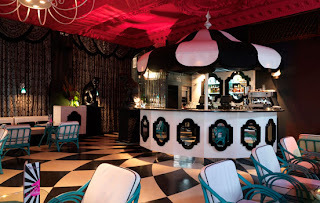 The Electric BirdCarge, a lounge located in good ole London, looks sort of like what you would expect if a wonderland and a freak show collided. 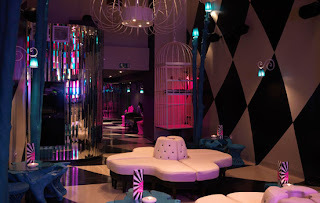 The Cage is complete with carousel bar, lavish Vegas mirrors, a ferosh black stallions, and giant bird cages (ahem obviously). This is a great place to drink but an even better to place to drop acid ( I Kid).